We’ve seen it before. You’re watching TV and you see the star running back come up lame, grab their hamstring and limp off the field. Maybe you’re playing rec league softball and you see your 40 year-old buddy legging out a triple and he too comes up limping, grabbing his hamstring. Pulled muscles hurt a lot. They can even make walking around at work painful. 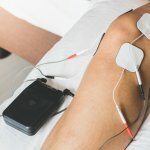 So how to you prevent pulled muscles? Below are a few ways. Stay hydrated! Your muscle tissue is largely composed of water. Most common recommendations for water are about 8 8oz glasses per day. Soda, tea, and juices DO NOT count – you need clean, cold H20. A dehydrated muscle is like beef jerky and leads to muscle pulls, and a properly hydrated muscle is like a juicy steak. If you work out regularly, it’s good to weigh yourself before and after your workout – any difference in weight is water loss. Replace each pound with 2 cups of water. For you weekend warriors and rec league softball players – watch the beer intake! We know it’s tasty and it’s refreshing, but it also dehydrates you and makes your muscles like a raisin. For every beer you consume, you should have a glass of water. Stay flexible. It seems like a “well, duh!” statement, but we just don’t stretch enough. We sit all day in cars, at computers, and in class and we get tight through the hips. This worsens naturally as you age. You should do dynamic stretches before activity, like walking lunges, jumping jacks, or skipping for example, and do lots of “static” stretching after activity. This should be part of the daily routine like eating and showering. Static stretches should be held for 30 seconds – no more, no less. Yoga classes are another great alternative to help prevent pulled muscles. If you need help, see a physical therapist specializing in sports rehab to help you. Balance front and back muscle strength. People tend to do lots of “front dominant” exercises, like bench presses, bicep curls, and quadriceps exercises (knee extensions, leg presses, squats). Muscle pulls happen often times because of muscle imbalances. Therefore, make sure there is balance in your workout program. Otherwise, pulled muscles are bound to happen. A good guideline is to make sure for every set you do in front, you do a set in back. 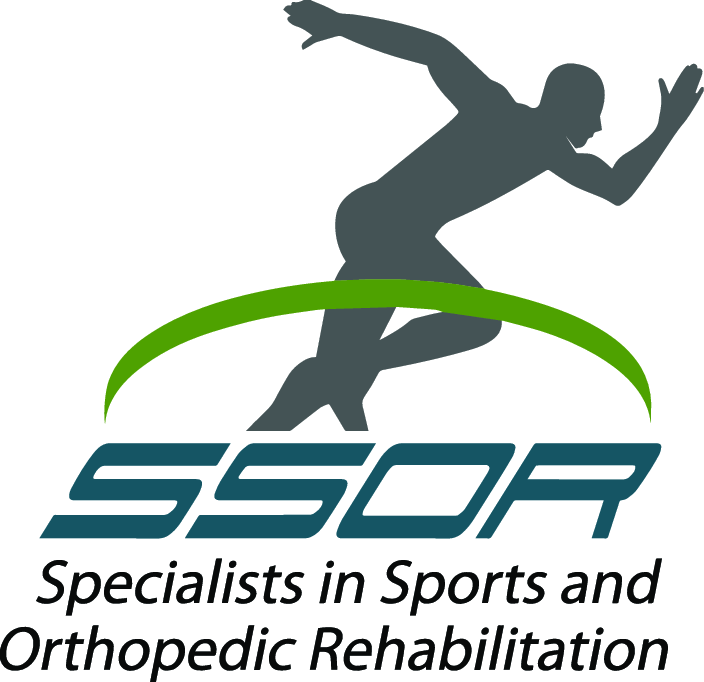 Again, if you have questions or need guidance, see a sports physical therapist at SSOR who specializes in muscle pulls and strains. Consider foam rolling your legs – your whole leg, not just the outside of the leg. For some reason, athletes think the foam roller is just for the IT band on the outside of the thigh. It’s a great tool to mobilize all muscles. Foam rolling seeks to mobilize what is called fascia. You’ve seen fascia before – just look at a raw steak. See those skinny white lines in the middle of it that looks kind of “cobwebby” when you pull on the steak? That’s fascia. Put another way, when you slice and orange, the “white” of the orange is the fascia and the orange is the muscle. It functions to compartmentalize our muscles and organs. It’s highly vascular and filled with nerves. Well, with working out and injury, that fascia gets tender spots in it and the foam rolling basically seeks to “knead the dough” and remove those lumps. Those lumps make muscles tighter, impede healing, and can cause compensations elsewhere in the legs. Just lie on that foam roller and roll back and forth – hamstrings, quads, calves, etc. When you find a tender spot, roll over it until it goes away. The foam roll is a great way to help prevent pulled muscles and a physical therapist can help show you if you need help. Keep in mind though – if you have chronic issues with tender spots, you may have an underlying issue that you need to have addressed, or you’ll be responsible for coming up lame on the winning run! Supplement your workouts with eccentric strength training. Muscles are usually pulled when they are lengthening, or eccentrically contracting. Basically, muscles contract in two ways – concentric and eccentric. In a concentric one, the muscle shortens as it contracts (think bicep curl). The eccentric part is when it lengthens as it contracts (lowering the dumbbell in a bicep curl). So, we need to do eccentric strengthening more often. Romanian Deadlifts (RDL’s) are a great example of these, or what is called the “Nordic hamstring exercise” or “eccentric hamstring lowers.” Eccentric training has been linked to a reduction in muscle strains in many different sports. A physical therapist can teach you rehab exercises using eccentric training to prevent pulled muscles. The physical therapists at SSOR can help you prevent pulled muscles, but if one does happen, we know how to get you back quickly and safely so you don’t have to have a nagging injury. Trust us, we’ll make sure you leg out that triple effectively! Remember, you don’t need a physician referral to see a PT in Kansas anymore. Don’t let that pulled muscle stay knotted up and keep you limping – we can help today!